As an exhibitor, a company who uses heavily trade show and events in your marketing mix, it is best to understand the AIDAR Model in order to justify your investment and effectively maximize this platform. How do you attract the visitors of the event? It is not enough that you join and a booth, usually 2m x 2m, is given to you and come actual event wait for visitors and hope they give you their time and attention. You have to create activities and gimmicks in order to attract and maximize your reach or awareness to the show visitors. Sometimes, it is not about how big or small your promotion space is. It is the preparation and strategy on how to attract the show visitors to visit your booth. Your Action Plan: Create a Booth Design and Activities that is Better than others. So now they are in your booth. Now what? Your promotional space must have sales representatives that are engaging and knows how to present your products and services properly. Your sales representative must know how to pique the interest of your booth visitors. Most of the times, you must have an elevator pitch that explains in the shortest possible time the benefits that the show visitors will have should they partner or purchase a product in your company. Your Action Plan: Train your people and ensure their product knowledge is 100%. While presenting the benefits of your products and services to your show visitors, your sales representative have a very short window of opportunity to convince these visitors that they need to partner with you or that your products will satisfy their needs and wants. You must create “a sense of urgency” strategy that will hit the heart of your target audience. Your Action Plan: Create Closing the Sales Scripts and Strategies. During your conversation, you must be able to convince your target customer or show visitor to take an action by becoming your business partner or purchase your products and services. If you have a high ticket products or services that will require more time to decide, you must make your target visitors or market hot on your offering. Often times, a lot of companies offer enticing discounts and product bundles that show visitors can only get during the actual expo or event. This strategy is proven to be effective. Your Action Plan: Close the sale and offer different options that will convince clients to give you their business. Empower your sales staff. The goal is to have a repeat purchase or increase the customer lifetime value (CLV). This means that after the trade show or event, you must continuously follow-up or engage with your new business partners and customers in order for them to continuously patronize your products and services. Your Action Plan: Repeat the process. Create a loyalty program. Always innovate because the client’s behavior is constantly changing. Trade Show and Events are powerful platform in the marketing mix that you can maximize to its fullest potential by understanding and using AIDAR Model. 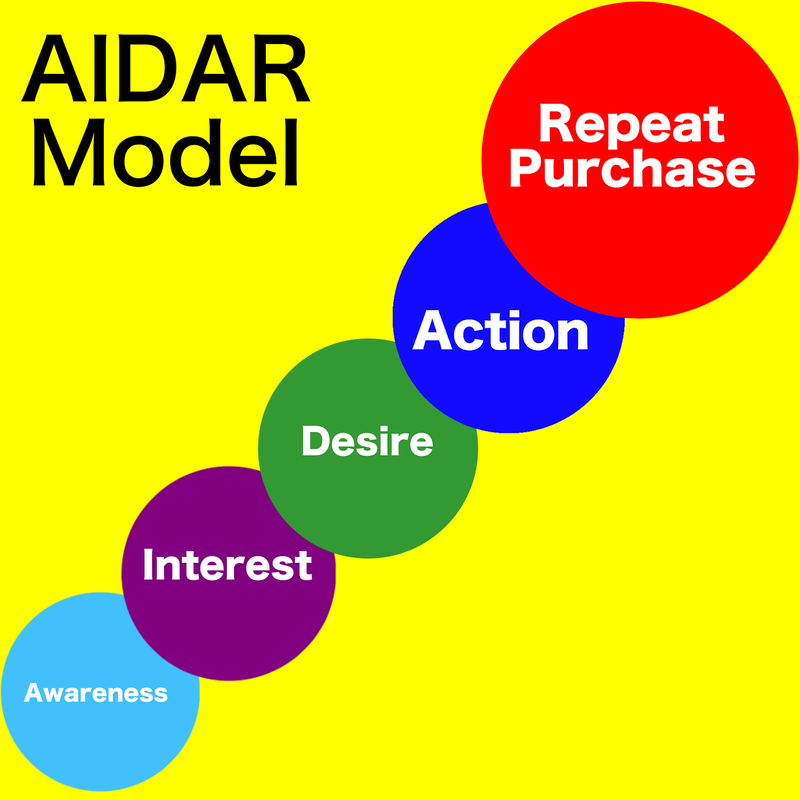 Having a clear understanding of this AIDAR Model, you will be able to create the right actions, strategies and tactics that will ensure that you will have a great Marketing ROI. At the same time, keep your clients for doing business or repeating their purchase to your company a lot of times.